Screws are tiny little gears that are responsible for holding the complete panel mounting system. We would recommend you to not compromise with the quality of the screws because if screws couldn’t hold on to the place, the whole panel will fall off. Our screws are designed thoughtfully and can fit into a wide range of applications. The size and shape of screw matters a lot and you need to be precise about that at the time of purchase. For instance, this one is ½ inch and you should use it accordingly. 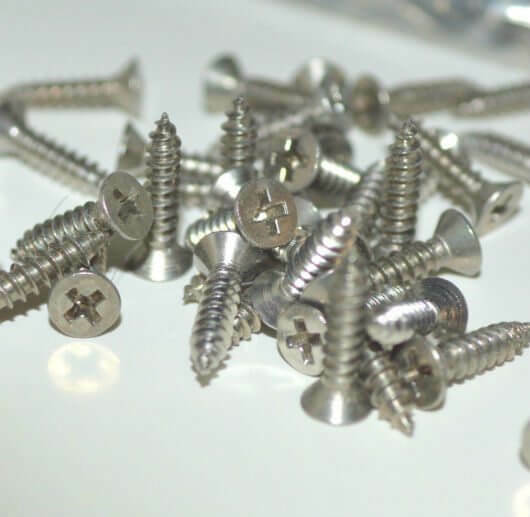 All screws sold by us are stainless and are capable enough to bear manageable wear and tear. Furthermore, the screws come in the pack of 100 and each pack is priced $ 4.75. This quality in this prices range makes us the market leaders and you can be rest assured that you won’t find this kind of quality in this prices range anywhere else. #4 Stainless Flat head Phillips screws 1/2″ long. 100 per pack.